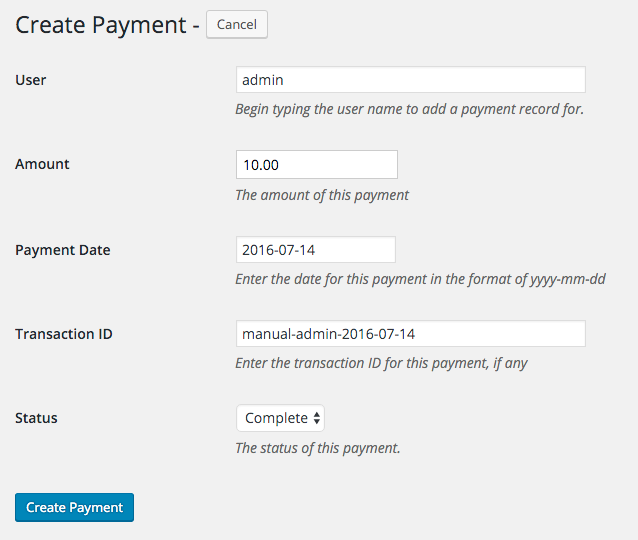 When creating a manual payment, you must supply a unique Transaction ID. If you do not enter one, or if you enter one that has already been used before, you will see the following error message: Payment creation failed. To correct this error, enter a unique transaction ID before clicking the Create Payment button. See the screenshot below.